There comes a time in each one of our lives when we must choose the path we will follow. We take our newly conceived ideas of life and compare them to the lifestyles of our parents and embark on a course that ultimately leads to our destiny. We make choices on our relationships, family, work, and personal entertainment. Some plan meticulously every step of the way while others just let it happen. 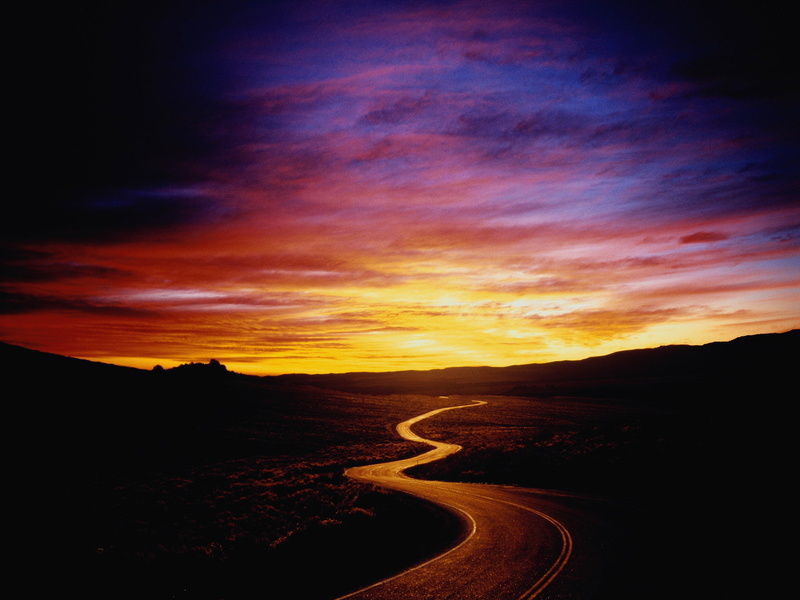 Each of us carve out a road to hopeful happiness. In this entangled world we live in today there are snares and traps placed all along the pathway of life. Most are placed in front of those who are young and naive, ensnaring them into a lifetime of unhappiness. The road to destruction is wide, and the gate is narrow through which we reach our ultimate goal, happiness. If we travel through life without a helpmate to guide us through its perils we may be easily snarled by life’s attractions. “The Way” is not a moral code with a list of do’s and don’ts. We follow the lifestyle of Jesus, trying to emulate the life He led here on earth. Of course, we are not expected to duplicate His behavior because He was sinless. We can not mimic His perfection so we attempt to follow His example. Even though He could have used His power to His own ends, He led a very humble and poor life. He could have created His own palace, servants, and army. Instead He slept outdoors and lived in poverty so He could better understand our situation. He associated with the poor and rebuked the rich and powerful. He spent His days sharing His plan for us to be reconnected with God. This plan of salvation was so simple one only had to believe to receive its power of forgiveness. 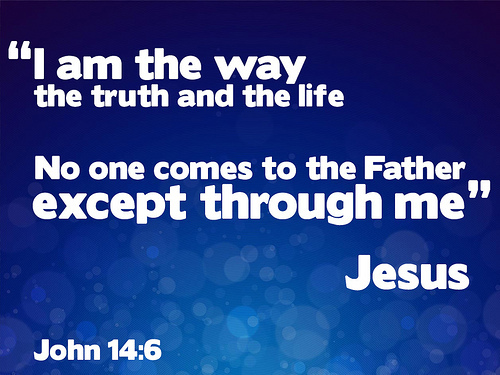 “The Way” is not a religion, it is a revelation from God. It is a daily walk of life where we are in loving communion with God. Our quite communion is a natural outpouring of daily Bible study, prayer, and worship. Prior to taking our first step on this journey we must accept the fact that the Bible is the word of God and that it was dictated by the Holy Spirit through God’s chosen vessels. All Apostles, save one, were chosen when Jesus Christ walked the earth. That one, Paul, was chosen after Christ’s ascension He was entrusted with sharing the New Testament church to the world. We are to pray to our Heavenly Father to open our spiritual eyes and ears so that we may understand what He wishes to reveal to us through His Word and the Holy Spirit. The Word of God is, “A lamp unto our feet, and a light unto our path.” Psalms 119:105 NKJV It enlightens us to walk down a path less traveled. To sojourn on this earth enlightened by God’s holy graces. Where there is light there is no darkness. Satan and all his worldly troubles are illuminated for us to see so we can steer around the traps that he has set for us. 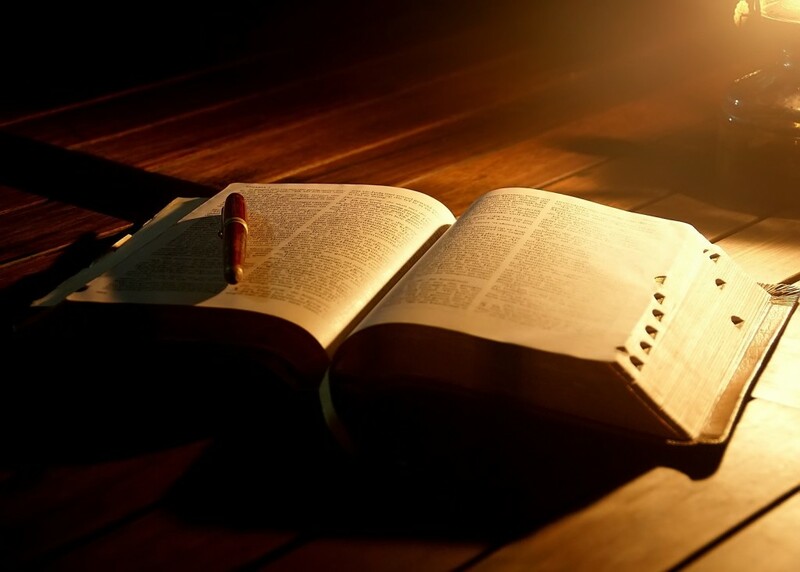 “For the word of God is living and active and sharper than any two-edged sword, and piercing as far as the division of soul and spirit, of both joints and marrow, and able to judge the thoughts and intentions of the heart.” Hebrews 4:12 (NASB) When we actively seek God through Bible study the Holy Spirit reveals to us what is contrary to the Word of God. He convicts us of those things we are doing wrong toward others. He molds, shapes, and prepares of for heaven. He shows us how to walk humbly seeking the best for others, always placing our worries and problems to the side and putting others first. This enables God to take care of us, to teach us, to counsel us in His ways. 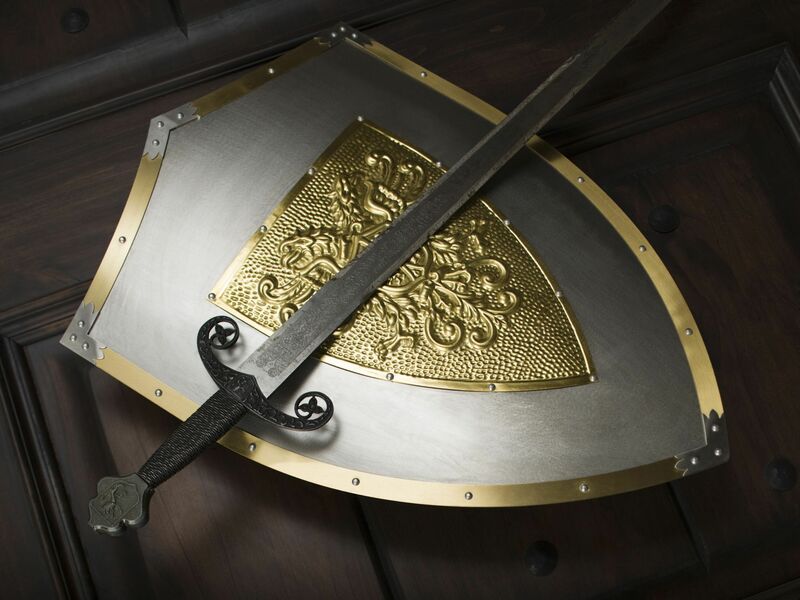 The Word of God is the “sword of the spirit, and with the shield of faith.” We are more than conquerors through Him. We are able to put out the fiery attacks of Satan and deflect his influence upon us. Through Him we can overcome any problems we may have. Countless people HAVE overcome addiction, depression, and even physical ailments they could not overcome any other way. He is the great Physician, and in His awesome timing He will heal our mind, body and soul. In Christ Jesus we are invincible. We are protected by His mighty shield. The truly surrendered man of God will remain here on earth until his services to God are completed. We begin our journey when we exercise true faith in God. We look back over our life and reflect on the mistakes we have made. This reflection of life is called repentance. When we are sorry for our sins the Holy Spirit works inside of us. He convicts us of our sins. However, feeling sorry isn’t enough. We have to change direction from our sins toward God. Now here is, “The Key to Salvation.” When we truly repent from of our sins, we as Christians, produce fruit. All the time we spent in the past doing things that are contrary to the word of God, we now do things that benefit God’s holy plan of salvation. For me, it is the websites you are on. For you, it will be something different. But we all have jobs to do to further the kingdom of God. Without producing fruit, without searching for ways to further God’s kingdom, without works faith is dead. There are a lot of people claiming to be Christians. There are some who go through the whole process of attending church, getting baptized, but they never take the steps necessary to reap in the benefits of Gods grace. The axe is already laid at the root of the trees; therefore every tree that does not bear good fruit is cut down and thrown into the fire. Matthew 3:10 (NASB) Things are very similar now as they were in Jesus’s time. You walk into a church and there are all these people dressed up trying to look the part of a Christian. On the outside they are all clean and proper, but on the inside they are as filthy rags. They have reserve seating in the sanctuary and are always sitting at the best tables during church held events. It was no different during the times of Jesus life. The Sadducees and the Pharisees would be decked out in the fancy robes sitting in prominent pews in the Synagogue. Wouldn’t you like to say a little pray now and accept the wonderful salvation God has offered you.